Genesis is saddened to hear of Ian McLagan's passing and sends sincere condolences to his family and friends. ‘I am completely devastated by this shocking news and I know this goes for Ronnie and Rod as well.’ – Kenney Jones. It was a privilege to publish Ian McLagan, and a great honour to accompany him to the Rock and Roll Hall of Fame in 2012, where a copy of his book was officially presented to the Museum's Library and Archives. Mac was not only one of the animating forces behind the Small Faces and the Faces, but also played with The Rolling Stones, Bob Dylan, Bonnie Raitt, and Bruce Springsteen, to name but a few. 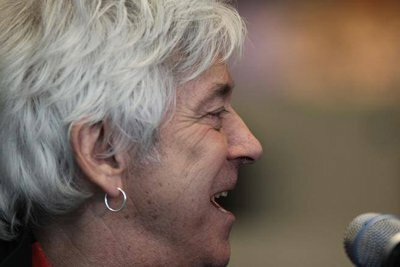 At Genesis we are remembering Ian McLagan's spirit of fun and laughter. When asked to describe the Faces in three words, he replied, ‘Fun or nothing’.